Twelve light chandelier. Frosted and etched glass with hurricane shades. 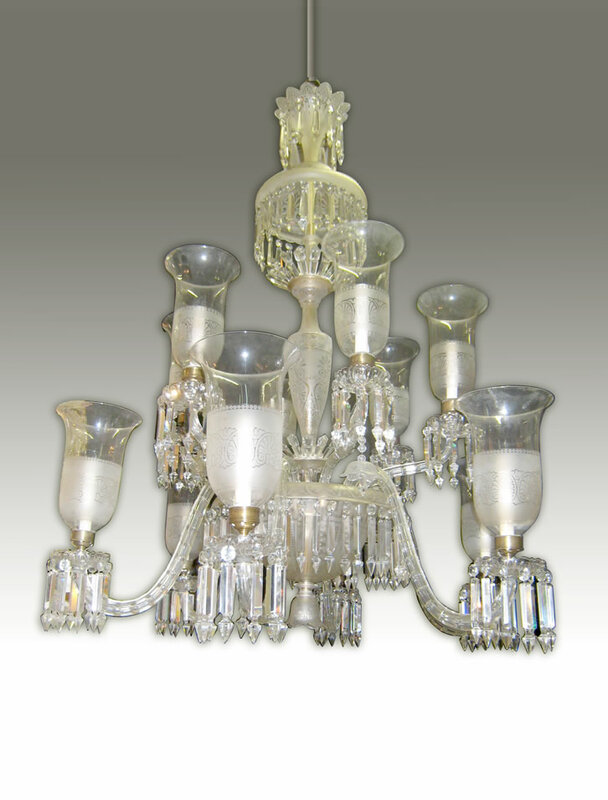 Created by Nesle Design using 19th century crystal.